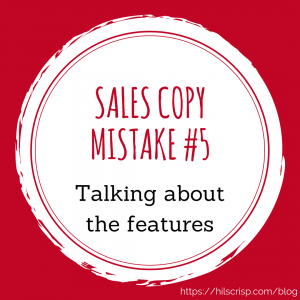 If you struggle to write sales copy that works and feels good, I totally hear you! It is really hard. 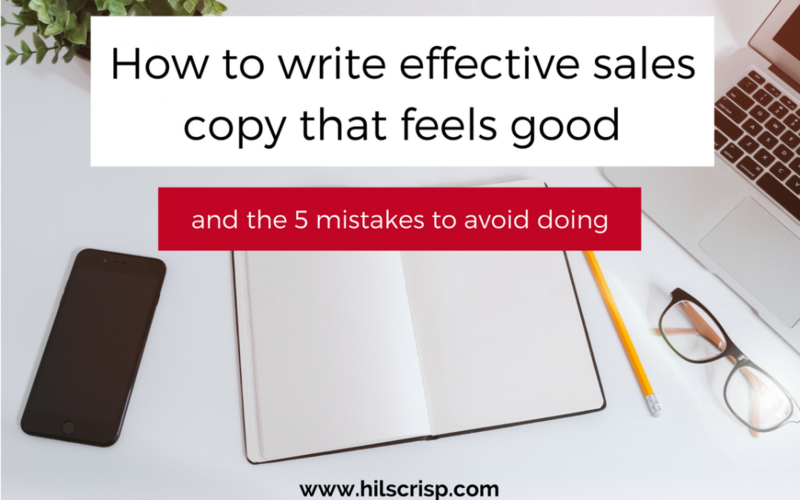 Discover 5 copywriting mistakes and how to rectify them in this blog, so you can make the copy for your services, courses or workshops more effective. Writing good sales/marketing copy (ie the words you use) is really hard, especially when you’re doing it for yourself and your own business (as you’re just too close to it). It’s even tough for people like myself (a marketing coach) or my friend (a writing and blogging coach) who I spoke to recently about this. It’s so easy to miss vital pieces of information out, waffle on too much (I have a tendency to this one! ), to go off on a tangent or have it sound more like a blog. Plus, it is hard to write effective sales copy about your own services that feel good to you and your audience. Why? More than likely you’ve never been shown how, had a good example to follow or maybe you’ve never thought about learning how. Perhaps you’ve tried tricks that you’ve learned on a webinar that felt a bit icky? The optimal words here are SALES, EFFECTIVE and FEELS GOOD! Let’s break it down. What does effective sales copy mean? 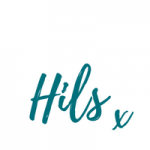 Sales – even though many people hate the word (because they don’t want to come across as salesy, icky or pushy) you won’t have a business if you don’t sell your services, courses, workshops or whatever. And (spoiler alert) sales can actually feel really good, I promise! Effective – for sales copy to be effective, it should convert the people reading it, into clients, ie they buy it either immediately or later. Most sales copy I see is really ineffective. People look at it or skim read it and take no action. Feels good – I know you want to write effective sales copy that feels good to you and if it doesn’t feel good to your potential clients then it probably won’t be effective anyway. You don’t want to use pushy, manipulative sales copy or techniques that make your potential client feel bad about themselves, feel shamed into buying or buy out of fear or anxiety. The wording you use to describe your services, courses or workshops is sales copy (whether you like the word or not), ie it should sell that service, course or workshop to your ideal clients. So, you need effective sales copy in order to make sales. You don’t want to make sales really hard for yourself, have any sales you make be an absolute struggle or cause you soooo much work (free chats, back and forth emails etc) that it wasn’t worth it! Wouldn’t you rather have your copy (whether that’s on your website, your social media profile, a post or elsewhere) do the selling for you and be converting potential customers into paying clients? When I do a website appraisal for a new client I take a really good look at not just the look of their website, not just the customer journey, but also the words – and particularly the copy used on the services/course/workshop sales page. I’ve identified 5 major mistakes that I see solo businesswomen make in their sales copy and given details of how to rectify them. Focusing on your modality (for example hypnotherapy), the tools that you use or the methods you employ. You may think the modality is the most important thing, you may even have been told that you should simply market what you do. But for several reasons, this is not the case. How you get results is not as important to your ideal clients as you may think. I’m not saying it’s not important at all, it is part of the niching triangle (which I’ll talk about next week or another time), but often someone looking for a solution to a problem either doesn’t mind particularly how you help them, just that you do or isn’t even aware that your modality can help their issue. By focusing on the modality you’re assuming they know that it can help them solve their problem. What if they don’t know? For example, I know a hypnotherapist who treats menopausal women. I didn’t know hypnotherapy could be used to treat symptoms of the menopause, did you? Being too soft in promoting, whether that’s having no next steps or Call To Action (eg, email me, book a free consultation, sign up here) or not even saying how they can work with you, because you assume they already know. You may think “they know I’m a coach so they know what that means and how it all works” – they may not. Don’t assume anything. It’s your job to tell them. For example, one client I had wondered why she was getting no interest in her upcoming workshop and when I looked at her website, she had all the copy about the workshop, but no call to action. Anyone reading that page would literally have no idea what to do next if they were interested. She would have been losing interested people who were potential customers. Make sure your call to action is clear. Talking about what your clients need as opposed to what they really want. I’ll say up front there are exceptions to this ‘rule’ as some services have stronger needs than wants, like compliance services for example is an important need but not a desire. However for most of you who are in the ‘helping’ professions, there will be higher value in the wants and desires of your ideal clients, than what they need. For example, someone suffering from body confidence issues, just really wants to feel free and happy with whatever outfit they put on in the morning (what they want). You know they need coaching or your particular method or whatever, but to the potential client, there is a higher value to them based on the result they want rather than the method they need. 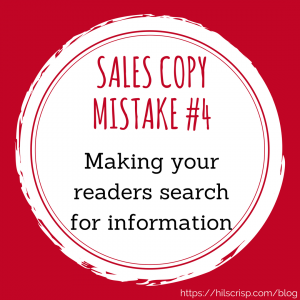 Making your readers search for the information they want to know including having chunks of copy that are far too long. The trouble is, you know your service really well and could no doubt talk about it with passion for hours – which is awesome. But not for your sales page. People skim read and apparently now have attention spans shorter than goldfish online. They will put off by huge long pieces of plain text. Copy needs to be broken up with sub-headers, bullets, images and different fonts/colours/font sizes etc. Don’t take this to the extreme and end up with a page that is a mess, but use these tools enough to enable people to find the information they want more quickly. Talking about the features of your service, course or workshop ie how many sessions/lessons, what happens in a session, how long they are, how long the course is etc etc, rather than the benefits of buying/doing it. Talking about the benefits or results you can get for your potential clients is so so important. You want them to be feeling it is a YES, that you can help them, before they even get to the features and detail of your services. You want them to be feeling a yes before they see the price. Be honest – which of these mistakes are you making in your copy? I’d love to know too, please comment below. I want to help make writing copy for your services, courses and workshops easier for you and more effective too. To do this I think you need two things; to understand your ideal clients and to have a simple template to follow. #1 Understanding your Ideal Clients is a key process for knowing what their wants are and the benefits you can help them get. Without doing the necessary work around understanding your ideal clients, you will struggle to write effective sales copy. We’re covering this in March’s Marketing Mentoring and Mastermind session next week. Click here for tickets. #2 Having a simple template for writing a page of copy for your website or an email which clearly and confidently ‘sells’ your services will really help your potential customers to decide if it is right for them. Then each time you come to write copy for a new workshop, course or service, you can just follow my easy-to-follow template to create effective sales copy that feels good. Gone is all the confusion and frustration (for you and them!). Let me help make it easy for you. Check out the details at April’s Marketing Mentoring and Mastermind session, the masterclass is on creating effective web copy for your services, courses and workshops – so your ideal clients are clear how you can help them and the right people will buy from you. If this is something you struggle with, get booked on now to this event. Click here for tickets. If you can come to both, you will really start to nail your sales copy. If you can come to just one, it will totally help (with copywriting and so much more – see each event for more details)! We can also cover this in a Marketing Confidence Boost 90-minute coaching session which includes an in-depth appraisal of your website and social media platforms with suggestions for how to improve. I hope that’s been useful. Please comment below and let me know which mistake you’ve made and what you’re going to do to change that. Thank you.